Charles Leclancher : Surf Riding at Waikiki, 1837. Léclancher, Charles : Surf Riding at Waikiki, 1837. Chez A. Hardel, Caen, 1858, page 77. This reference was located by Herve Manificat and forwarded by email and posted on The Surf Blurb, 24 March 2013. It is one of the few accounts where the author attempts surfboard riding. 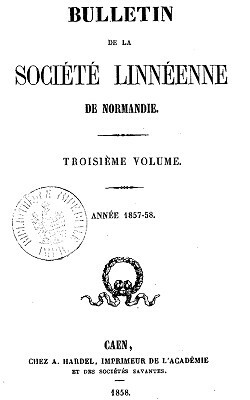 It is included in Herve's12 page article dedicated to French accounts of surfing in Hawaii from 1796 to 1905, published in the French edition of Surfer’s Journal (Number 95, April-May, 2013), "many of them unknown (to the surf world) until now." "One of the most interesting account(s) is a 1837 report of Charles Léclancher, a French marine surgeon being at Waikiki with natives, published in France in 1858." Sure one of the first (or the first ?) known report of a European attempting to surf in Hawaii." A brief extract is reproduced below. "Charles René Augustin Léclancher is a naval surgeon, born 29 March 1804 in Alexandria (Piedmont) and died in 1857 . In service 1828 to 1853 , he participated in several missions, including that of Venus commissioned by Abel Aubert Du Petit-Thouars (1793-1864) and La Favorite from 1841 to 1844 in the Bay of Bengal. He brings 11 mammals and 232 birds . He also traveled in Arabia and Japan to 1841 . He was awarded the Legion of Honor ." Leur grand plaisir, au bain, est d’aller jusque dans les brisants en traînant une planche longue de 6 pieds, large de 2 et demi, et assez épaisse pour supporter le poids d’un homme sans enfoncer. Lorsqu’on est arrivé à l’entrée des brisants, on se met sur la planche, et on nage de manière à la pousser en avant, en la maintenant le bout à la lame ; et, lorsqu’il en vient une bien grosse, on se couche sur la planche, et on se laisse emporter presque jusqu’à terre par la lame qui vous y pousse avec une rapidité prodigieuse, et puis l’on recommence. Ils me prêtèrent aussi une planche, et je fis comme les autres ; c’était à qui me donnerait la sienne. Their pleasure, when bathing, is to go into the surf dragging a board of 6 feet long, two and a half wide, thick enough to support the weight of a man without sinking. When arrived at the beginning of the surf area, you put yourself on the board, and you swim in order to go forward, keeping the front of the board facing the wave, and when a huge one comes, you lie down on the board, and you let yourself carried away nearly to the shore by the wave which takes you with prodigious speed, and then once again. They also lent me a board, and I did like the others ; everybody wanted to provide me with his board. Geoff Cater (2013) : Charles Léclancher : Surf Riding at Waikiki, 1837.